Sony's latest Alpha DSLR's have encountered some overheating issues. Sony's brand new A55 and A33 DSLR's appear to be suffering from a overheating issue which limits video recording with IS (Image Stabilization) on to as little as 9 minutes. Sony's website officially states that at 20 to 30 degrees the A55 will only be able to manage six to seven minutes recording, whilst the A33 can manage a mildly more impressive seven to eleven minutes recording. Sony blames the enormous APS-C sensor inside the two camera's which means while it can offer full 1080p video recording it can't handle it for too long. 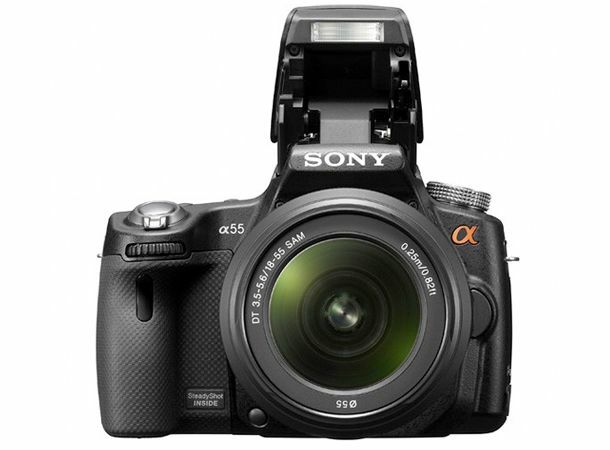 The A55 and the A33 are the first DSLR's since 1995 to have Translucent Mirror Technology inside them, which essentially means that the A55/A33 have fixed mirrors inside them, enabling the user to shoot ultra-high bursts of 10fps. It's show stealing stuff, and with full 1080p recording and continuous autofocus during video recording these are still very serious pieces of kit. No word yet as to whether there's any type of fix that can alleviate the recording issue, but considering the rest of the package, it almost feels like a mute point.